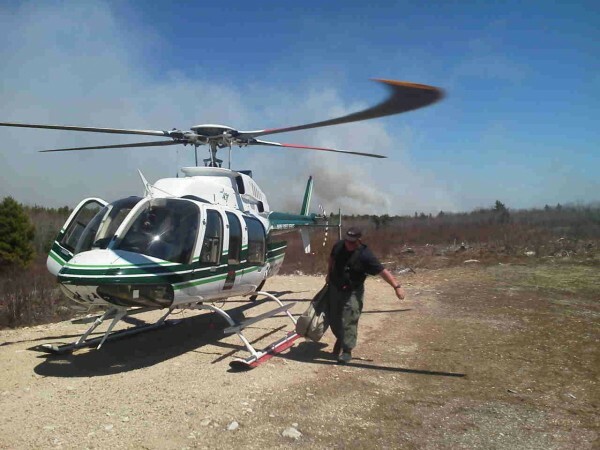 Ranger Pilot Chris Blackie deploys the Bambi Bucket to begin work on a wildfire reported in Township 18 MD in Washington County. Forest rangers and firefighters are battling a large brush fire in Washington County. 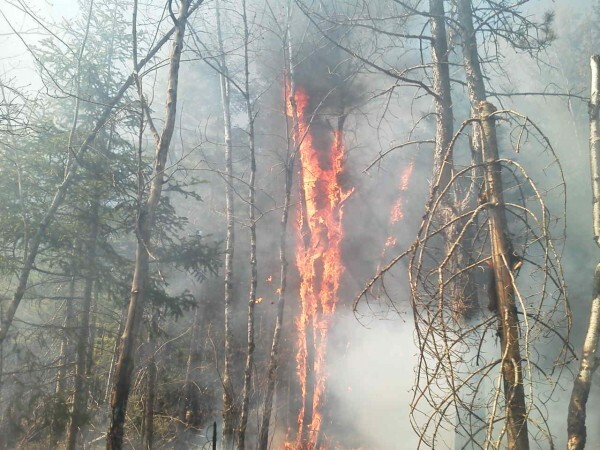 A large brush fire in Washington County had forest rangers and firefighters battling the blaze. 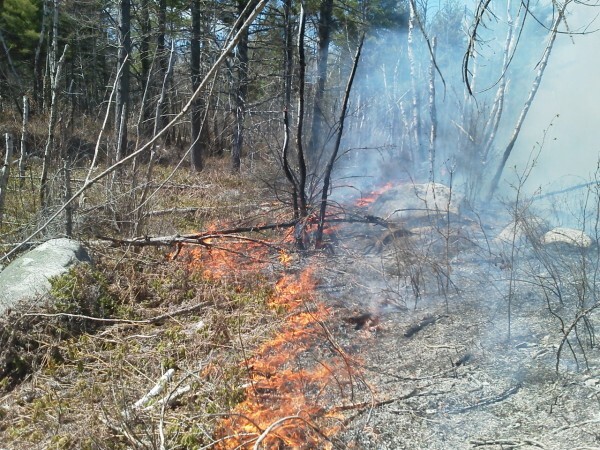 TOWNSHIP 18 MD, Maine — Forest rangers and firefighters battled a large brush fire — which they considered suspicious — in this Washington County township Wednesday. Lt. Jeff Currier, a regional ranger with the Maine Forest Service, said crews were still working that fire, located just north of Columbia Falls near a former radar site, as of 7 p.m. The fire was reported shortly after 11 a.m., had consumed about 75 acres by 1:15 p.m. and was actively spreading through grass, brush and immature softwood growth. Much of the land in that area is blueberry barrens and forest but there are seasonal cottages and harvester housing as well. Kent Nelson, fire prevention specialist for the Maine Forest Service, said Wednesday afternoon that no buildings were immediately at risk. Currier said four rangers, two forest service helicopters and local fire departments were on the scene. “The winds are really not helping us,” Currier said. “They are about 10 to 15 miles per hour, out of the southwest.” Currier said there was a moderate chance of the fire continuing to spread.